Does a video show an Israeli policeman strangling a Palestinian child to death near some kind of escalator? No, that's not true: a video filmed in the Swedish city of Malmö has been making the rounds since December 2017 with a false description. The policeman was not from Israel (and not a cop), the child was not Palestinian and nobody died. CLAIM / Video: Israeli police officer strangled a Palestinian child to death. FALSE It is claimed that a video shared on social media and on some news sites such as İstiklal shows Israeli police officer strangling a Palestinian child. It was stated that the child was killed after the events that followed the announcement America would recognize Jerusalem as Israel's capital. The move of the U.S. Embassy to Jerusalem happened in May 2018, well after the video was taken. According to Swedish media reports, two boys (one aged around 9, the other 12) were involved in some kind of incident on a train and were kicked out at the next station. There security guards tried to detain them but they attempted to escape after which the private security guards used force against them. Later the real police arrived, they took the kids into custody and an investigation was opened. En nioårig pojke tjuvåkte på tåget och greps av en ordningsvakt. En film från ingripandet visar hur vakten sitter på pojken, håller för hans mun och dunkar hans huvud mot stengolvet.Vakten är nu tagen ur tjänst. Polisen lade först ner sin utredning, men ska granska händelsen på nytt sedan flera polisanmälningar inkommit under måndagskvällen. The video has nothing to do with Palestine, Jerusalem or Israel. And the high visibility jackets in the video are clearly labeled "ordningsvakt", which is Swedish for "guard" or "steward". Yet it has been shared on several sites with misleading descriptions. Recently the video got shared on a pro-Bernie Sanders and an anti-Trump Facebook page. 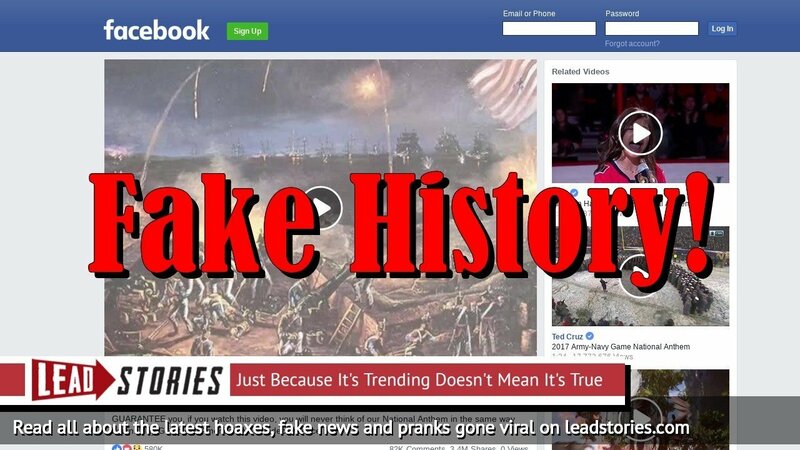 Don't fall for it, always check if a video is real before liking, sharing or commenting (yes, commenting too, as this is one of the signals Facebook uses to determine if a post should be shown to more people).